How about a breath of fresh air for Sony Ericsson designs? Such can be seen in the following Sony Ericsson cellphones, sent to us by someone known as Andro Gama. 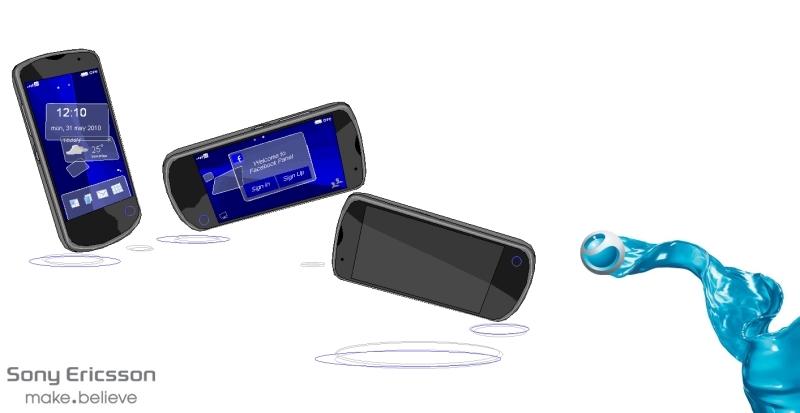 The new models are Sony Ericsson Earth, Animo, Uniq and Uniq Secreita, all of them pictured below and all of them concepts, for now. Sony Ericsson Earth is an eco-friendly device, sporting a 3.2 megapixel camera, a touch display and possibly some apps for monitoring carbon emissions, plus a pedometer and other green software. Next up is the Sony Ericsson Animo, pictured below and looking extremely happy and childish, as shown by the animations around it. It might be a handset for children, based on animations and social networking, but we’re just speculating, as we know nothing about it. And then we have the SE Uniq design, with the original model looking very much like a Nokia Xpressmusic touch phone and the Secreita version also sporting a sliding mechanism, possibly a virtual keyboard of sorts. These are also touch phones, with messaging features. What do you think of these sketches?